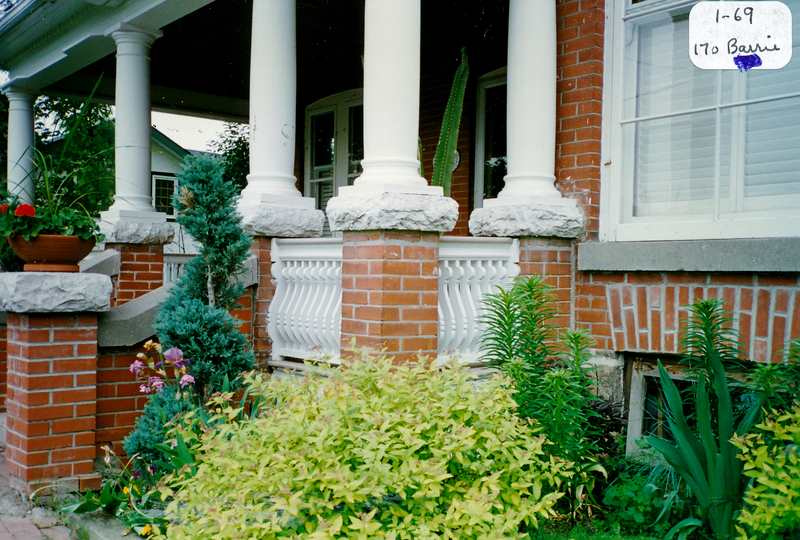 The Gib Lukes House is located mid-block on the west side at 170 Barrie Street. It was built post-1900 in the Edwardian Classicism style. The garage at the rear where Gib Lukes parked his Stanley Steamer automobile is currently the building at 123 Moore Street being used as the Bradford Food Bank.